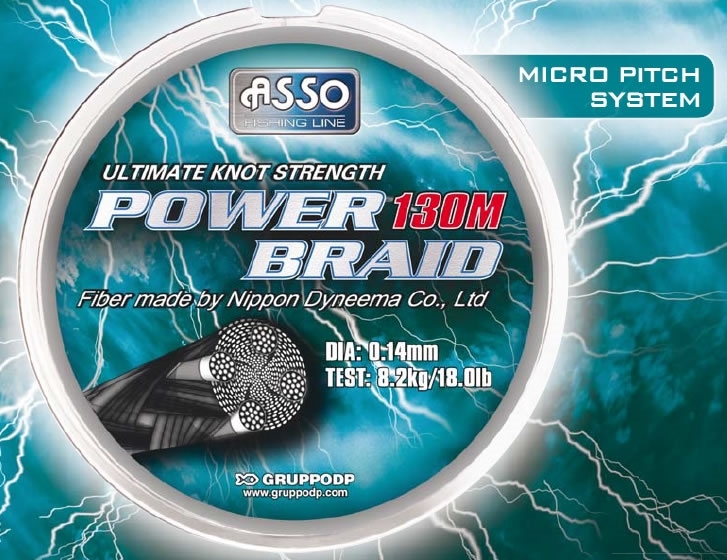 POWER BRAID is the next generation of braiding technology. Its round body structure and MICRO PITCH SYSTEM reduce wind knot backlashes and rod tip wraps. Advanced hot coating technology delivers super high abrasion resistance, long casting and maximum durability. No reel memory, smoother casts and near zero stretch. ASSO Camouflage - 140 yds. ASSO Micro Finish - 140 yds. ASSO PE Sinking - 110 yds.